Today we saw lions and giraffes in the French countryside. 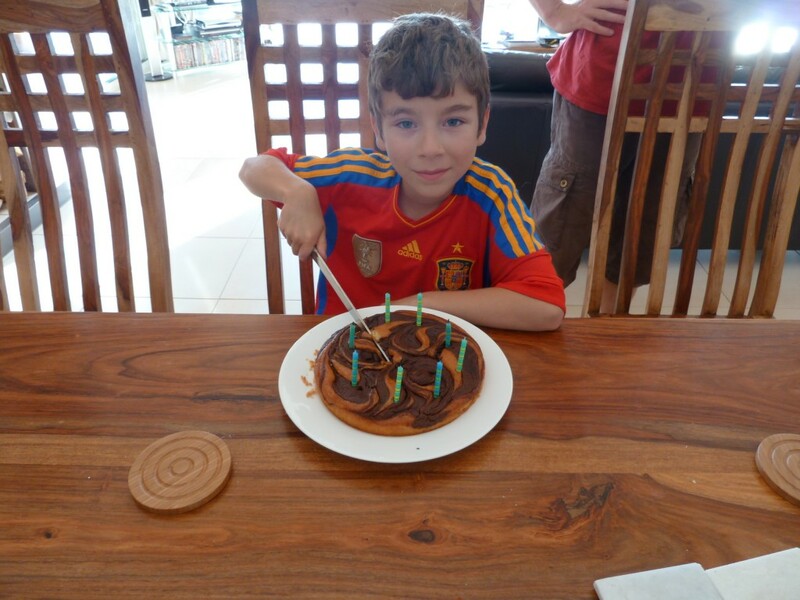 It’s Declan’s eighth birthday. A birthday on the road can be a bit of a tricky thing – what do you give someone who has to carry the result around with them in a backpack? Callum gave Declan a Swiss army-knife card; Jennifer and I gave him Lego; he got presents of money from his grandparents; and from Uncles Martin and Kevin a day out at the Sigean African Safari Park. The Park is in two parts: the first involves driving through large ranges of animals, the second a somewhat more traditional zoo-like walk. We all absolutely loved the experience. We drove within metres and in one case centimetres of the animals. 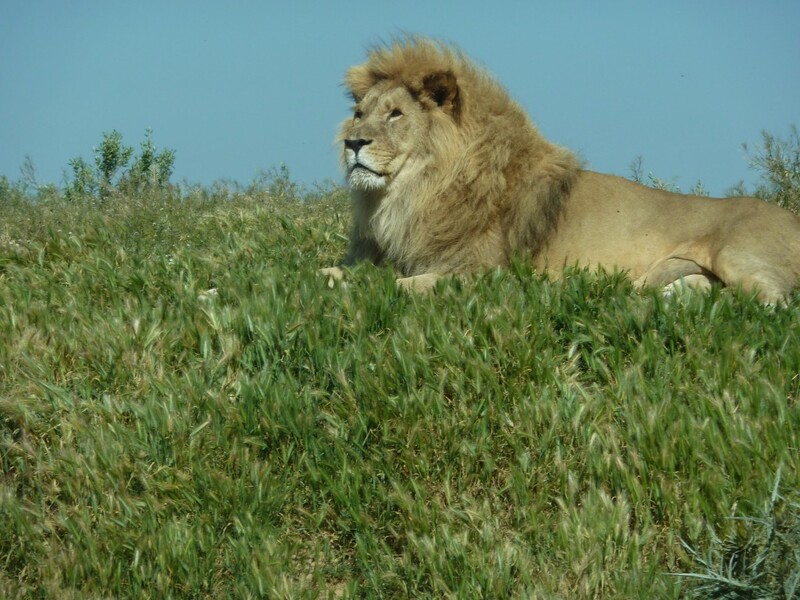 We saw eland, gnus, rhinoceroses, ostriches, giraffes, zebras and, best of all, lions. Because there were only about three other families in the whole place the animals were incredibly calm and we got a really good look at them. It took a little while for the rest of us to realise that the tune Callum was humming in the back was the title song from Jurassic Park which felt very appropriate. 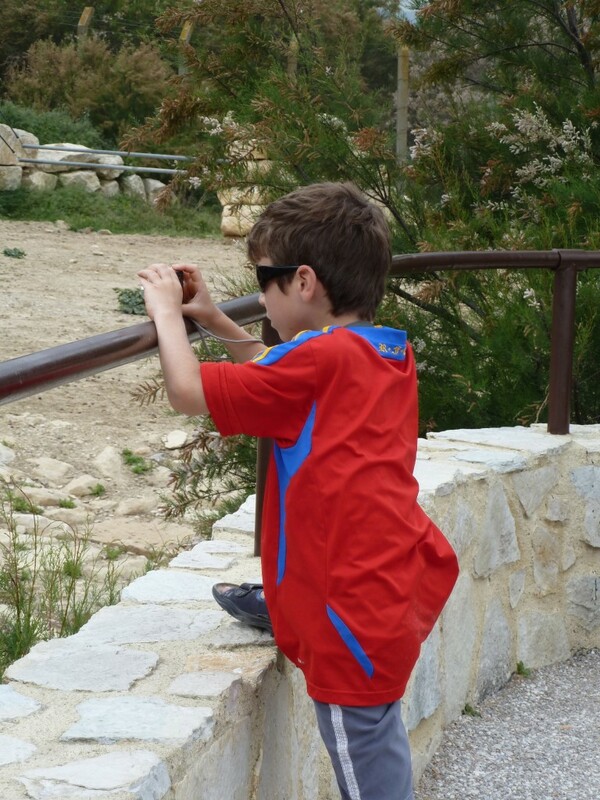 In the second half of the Park we saw elephants, chimps, pot-bellied pigs and a huge variety of birds. The enormous flock of flamingos was particularly breathtaking. It was all exciting enough that Declan was positively bouncing about and even Callum kept on muttering about how ‘awesome’ it all was. Our favourite moment though was when we got stuck in a traffic jam with a zebra deciding to take a stand right in the middle of the road. 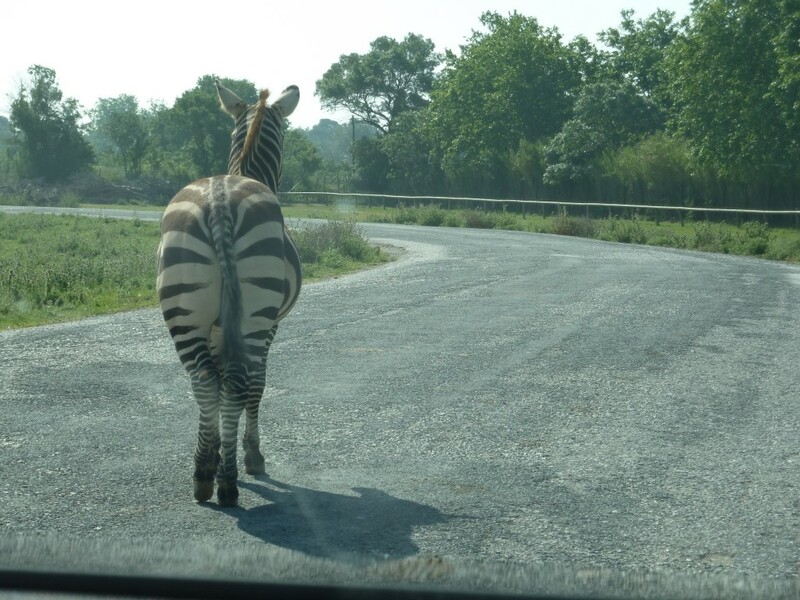 A zebra not crossing, perhaps?